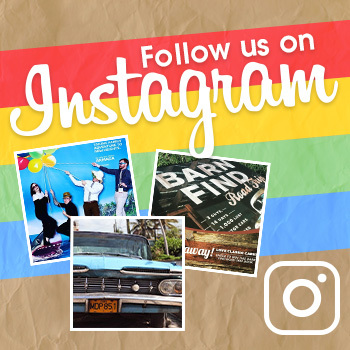 The saying goes that imitation is the sincerest form of flattery. 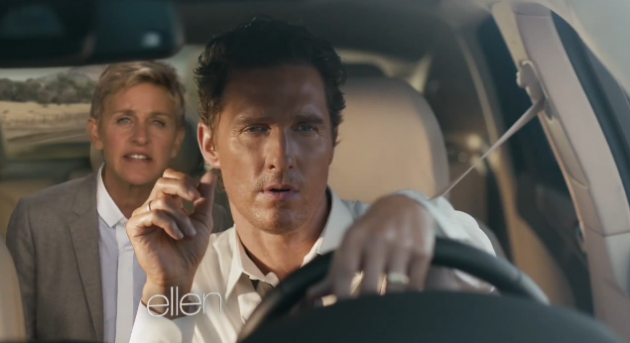 The argument could be made, however, that there is a certain level of flattery that comes with parody, as evidenced by yet another high-profile talk show host getting in on having some fun with the new Matthew McConaughey ads for the Lincoln MKC. 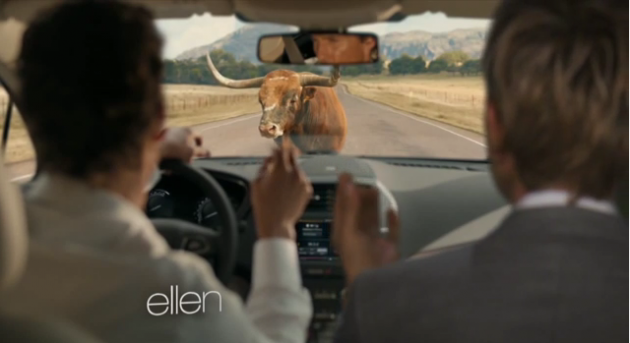 After Conan blended McConaughey’s brooding performance behind the wheel with dialogue from the hit show True Detective, afternoon host Ellen got in on the act with some considerably lighter fare by literally inserting herself into the “Bull” ad as a backseat driver. The most telling part about the effectiveness of Lincoln’s new ad campaign, perhaps, comes in the opening moment of the video. 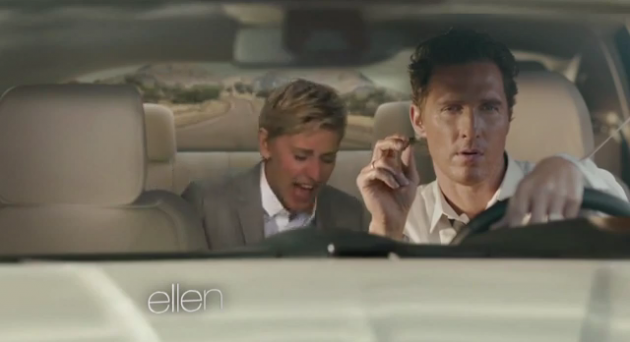 Ellen asks her audience who has seen the commercials for Lincoln’s new crossover and gets a roaring response. When she then asks who hasn’t seen it, the studio falls nearly completely silent. That sound you hear is an effective advertising campaign. Golden star for Lincoln! She adds, “I think it made more sense when I was in it,” before cutting to an altered version of the commercial wherein she has a difficult time seeing the bull, makes a number of pun-tastic bull and cow jokes, and compliments Matthew on his…special brownies. Oh, and then she turns on Li’l Jon while McConaughey continues to roll his fingers pensively. 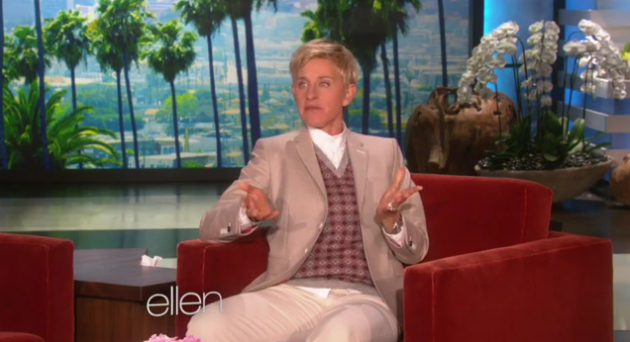 Because it’s Ellen and of course she does.